The contemporary concept of beauty is not so much the idealization of the skinny build as much as it is the condemnation of the obese and overweight. 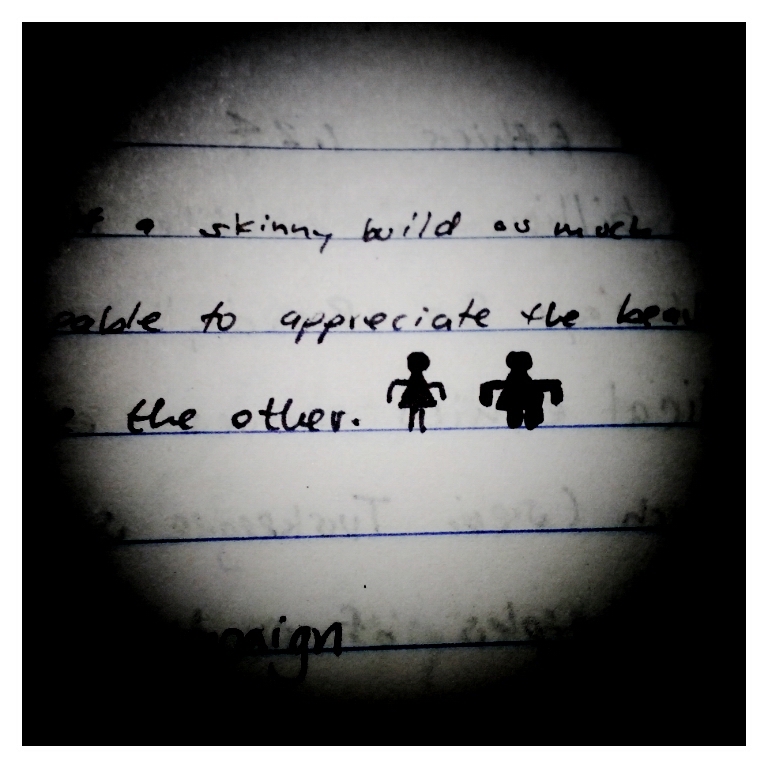 We are equally capable to appreciate the beauty of both body forms, but we choose to love one and hate the other. I remember once remarking to a friend that I felt obesity and the shame associated with it was worthwhile and good. Obesity is unhealthy, undoubtedly. Our bodies were not created to support incredible amounts of weight. My line of thought assumed that the shame associated with an obese person would be cause for them to lose unnecessary pounds. My friend, however, argued to me that they should not have to be shamed. That is, they should not have to endure public humiliation. My friend is a very sensitive and thoughtful person. She made me consider what it would be like to be obese or overweight. Instead of being a detached intellectual, she pressed me to empathize. If I were obese, would shame be enough to make me want to lose weight? It’s nice to think, “Yes,” but we all know life isn’t that easy. If you are obese or overweight, you are still beautiful–but this does not mean that you should be happy remaining obese. Treat your body the way it should be treated–and this extends beyond weight. Beauty is how you maintain your body, personality, and beliefs; the maintenance of your individual parts into a coherent and beautiful whole. It is something we all will be working toward for the rest of our lives. It seems that today, however, we are stuck on the idea of beauty merely being our appearance and no more. Oh shhhhhhhh! 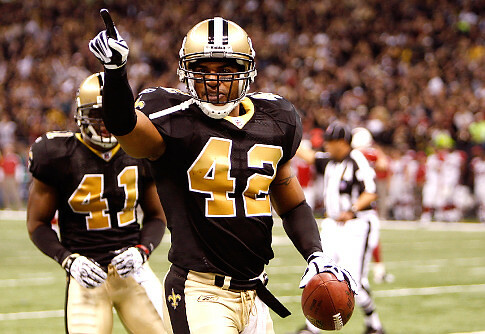 Darren Sharper! One of the most hardest hitting safetys in the league! If you know nothing about the bounty program in the NFL, let me summarize. The New Orleans Saints had a system in place in which their defenders were paid bonuses of thousands of dollars for knocking players on the opposing team out of the game. Basically, they were given incentive to intentionally hurt other players. I can too easily imagine men acting tough, claiming they would pound the snitch that snitched. That pisses me off. That’s not manly–that’s barbaric. This is the NFL–not a battle. If you want blood and guts, I’ll build you a time machine so you can watch the gladiator games. That ought to quench your thirst for blood. That’s the problem of the NFL. It’s such a violent game inherently, and the league is trying to protect itself from becoming an unregulated fighting match. People want to see bigger booms, louder smacks, and nastier collisions. But we forget that these are young and grown men sacrificing their bodies for our viewing pleasure. Go ahead and lecture me on brotherhood and camaraderie if you think this bounty program is something normal and to be expected. I won’t accept that. Just read Newton’s quote. The NFL is a job. It’s full of men trying to provide for themselves and their families. And you think providing incentive to harm those men, to decapitate them from their work? That’s like me coming after your dad with incentive to get him fired from his job. Bounties in the NFL are stupid. They are a moral corruption of the game. If you defend them (fans or NFL players), you need to reassess your moral character. Bounties are for Boba Fett. Newton’s quote also gives me a more profound respect for him. 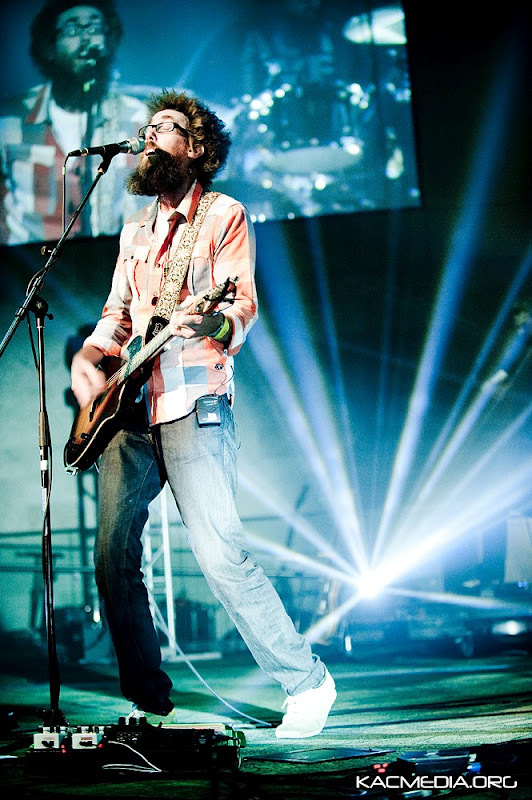 Of all Christian artists, I like David Crowder Band the most. He is funky and cool. He sings about Jesus in his own style. He isn’t worship music that Evangelical churches usually use in their services. He is music. He is the type of Christian artist that I like. I’m sad that he and his band are calling it quits. On their last album, there is a song titled “Oh My God”. Likewise, Gym Class Heroes has a track called “Oh My God“. Same titles, same words, but different meanings. Did you know that hymnals use “O” instead of “Oh” to demonstrate a different use of the phrase, “Oh my God”? Just kidding. I made that up. I don’t know why sometimes it is printed “O” instead of “Oh”. Sometimes “O” looks cleaner, and, in traditional theology, Jesus is pretty clean. So maybe that’s why. The point I would like to make, however, is that we can use language in the same form, but it will take different meanings. When David Crowder Band is singing “Oh my God / my God”, they are exclaiming to God. When Gym Class Heroes sings, “Oh my God”, they are exclaiming in surprise or incredulity. Some people might say “Oh my God” is a profanity, since they might see it as taking the Lord’s name in vain (Exodus 20:7). I try to avoid it because I was brought up in that belief, and I sort of do believe that I am misusing God’s name if I say that. So my overall point is: Think about what you say. We all can say the same words, but those words can mean very different things. This also means that I might be able to say the f-word in a very appropriate way, but another doofus might use it in an inappropriate way. Yet, even if we use those words in the way we meant to, it could mean entirely different to someone else. So I guess I might be proposing that we never speak to each other again. When Linsanity first swept America, I was hesitant to jump on the bandwagon. I don’t like bandwagon fans, and I think I have the ultimate reason to dislike bandwagon fans: After Michael died, thousands of “fans” came out of the woodwork. All I’ll say is, “Sure.” Honestly, though, it’s really stupid to try to prove you’re a “better” fan than bandwagoners or fair-weather fans. A fan is a fan. You both love the same person or thing for similar reasons; there’s no need to hate or classify. If anything, trying to prove you are a “true” fan is selfish. I find it very annoying. In the end, I’m glad so many people came to love Michael’s music. Sometimes I wish people would have loved it sooner. Concerning Lin, though, I was adamant that I wouldn’t be like “those” Michael fans. I thought I would appreciate Lin, but not necessarily follow him. Well, that plan fell through. I was caught in Linsanity, and of course my mind explored why. I love Jeremy for a number of reasons. Wherever he ends up in the NBA, I’ll be a fan. He’s made me love the Knicks, thus keeping my sports allegiance to New York (Giants and Knicks; if I watch baseball . . .). Concerning Linsanity, though, a lot of my basketball savvy friends weren’t buying into Lin. I’ll agree: the media definitely overhyped him. I will argue, though, that he had to be overhyped. He is the underdog story inherent. I want to clarify, though, that I am not a Jeremy Lin fan simply because he is Asian American and happened to stumble into the limelight. That’s only part of my reasons. Let me share with you why Jeremy Lin gets me so excited! He is Asian American. When is the last time an Asian American (not an Asian international) has gained prominence in the American mainstream? When was the last time anchors and reporters were sharing a story about an Asian American? Yao Ming doesn’t count. Jackie Chan and Jet Li don’t count (I actually like Donnie Yen a lot more than either of them). What was the last Asian American thing to grab the national conscious? Fortune cookies? Wong’s Wok? Anime? Japanese schoolgirls (don’t even get me started on that)? Arguably, Bruce Lee in the 1960’s (it is currently 2012 FYI) was the last respectful Asian American icon that pierced the American mainstream–and he had to do that with an “exotic crutch”: wushu (AKA martial arts). 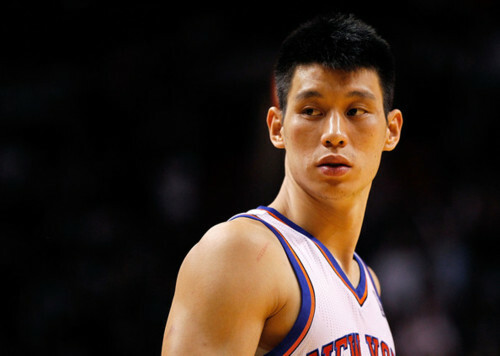 Jeremy Lin is the first Asian American to gain respectable prominence in America since Bruce Lee. This 50 year hiatus is finally filled! All the more, Jeremy is surfacing in a very “American” thing: basketball. He has surpassed the national idea that Asian Americans are the eternal foreigner within, always having to be domesticated to become “American”. Jeremy Lin is American, America. And he’s doing something so America very well (debatable, but grant me rhetorical license). He is InterVarsity alum. Lin and I share something in common: We both were a part of InterVarsity Christian Fellowship. I’m so glad that Jeremy and I were able to share in this college ministry. Faith is usually something that wanes at college, and I know my faith would have dissipated had it not been for InterVarsity. I was able to find a core group of friends that shared in my love for Christ through worship, Bible studies, conferences, and just by trying to discover what it means to be a Christian at college. I know Jeremy experienced similar things at Harvard, and I’m glad that we have this common denominator between us. He is a follower of Christ. It’s uncanny that Lin would follow Tebow, and that the two athletes would give Christianity prominence in American sports. Unlike Tebow, Lin is a bit more soft spoken about his faith on the court (i.e. there is no Lin-analog to “Tebowing” . . . unless you count this cute thing he does with Landry Fields). I’m sure there are many other Christian athletes that don’t go the route of Tebow (and I’m not saying that Tebow is doing bad things for Christianity), but it’s always good to have a spectrum of character within Christian profession. Should all Christians be vocal about their faith? Yes, but to what extent? If you ask me why I do whatever I do, I’ll always tell you because I want to do a good job or something like that, but then I might tail that explanation by saying something about my savior: “God’s blessed me with this opportunity and this ability, and I want to give it back to him for his glorification.” Jeremy is tactful about his witness, and tact is something that has been a fixture in my faith story. He is the underdog inherent. Unrecruited out of high school–after being named first team All-State and Northern California Division II Player of the Year? Walking-on at Harvard instead of being offered a scholarship to hometown Stanford? Undrafted out of college? Picked up and dropped by two NBA teams before settling with the Knicks? Only given playing time with the Knicks out of desperation, likely to have been cut the next day? Add onto this Asian American stereotypes, and you’ll understand that Jeremy embodies the underdog story. I love the underdog. That’s part of the reason I’m a Giants fan too. No one expected Eli to pan out and become an elite quarterback (yes, I’m saying that). No one expected the Giants to beat the Patriots in 2007–and then again in 2012. Likewise, no one expected Lin to be a starter in the NBA–let alone, make it into the NBA. But he did it, and I love it! He is the surfacing of Asian American exigencies in the national American culture. Like my first point, Jeremy Lin is addressing or bringing to light so many inadequacies of the American national culture in accommodating, mediating, and incorporating Asian American culture. This is evidenced by the insensitive and ignorant headlines: Chink in the Armor? The Knick’s Good Fortune? America clearly doesn’t know what to do with Asian Americans besides talk about them in a racially infested manner or to relegate our culture to “good food” and “subordinate women” (though Lin hardly brings to surface the latter . . . though he does do much for Asian American male sexuality). America can only progress from her failure to understand her own Asian Americans. That is why I’m so excited Jeremy Lin has received so much media attention. He’s arrived at a time at which I believe Asian Americans are finally integrating into the national culture, and I would mark “Linsanity” as the beginning of this act. I’m excited to see what is in store for Asian America. All the more, I am so glad my vision that a Christian Asian American would be the spearhead of this movement. Quick note on that last link to my “vision”: 1) Interesting to see how that within 2 years I developed a taste for the West Coast over the East Coast 2) I don’t necessarily speak about my vision for the Asian American movement to be led by Asian American Christians, but that is my heart for the coming years. So much for trying to keep this list brief. Go Knicks! Go Lin!